We have stayed in Key West many times before. Usually downtown right near Duval Street. This stay was on stock island. Although it is a few minutes from downtown everyone in our group said the ride was part of the fun. This place was clean, everyone was friendly and I cant wait to get back already. Don not hesitate, this place is excellent! 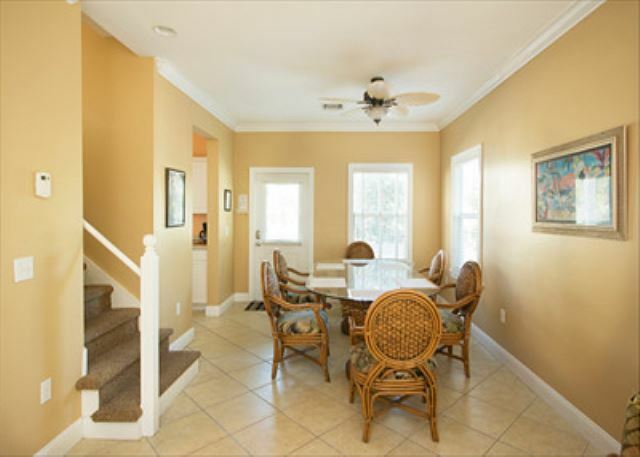 Six of us for comfortably in this town home, great atmosphere right near the pool. Place was exactly what we were looking for. The pizza place nearby is also good. Hello Adam, Thank you for your feedback. We are glad you enjoyed your stay. Yes, Roostica is a great restaurant! The townhome was wonderful! It was very clean and met all our needs. Pool was well maintained and grounds were very nice. 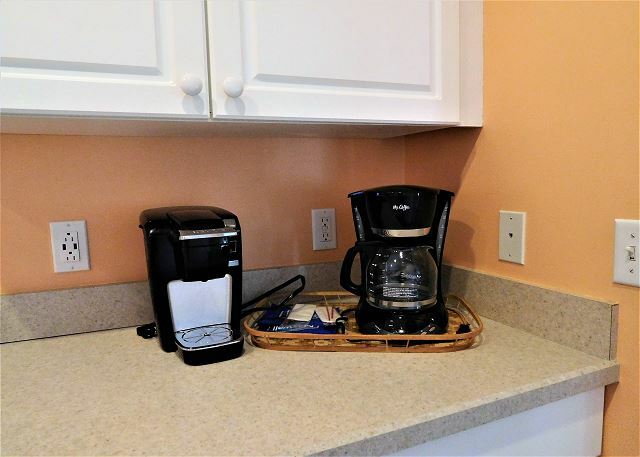 The kitchen was equipped for all our cooking needs.Our family thoroughly enjoyed our stay here! Hello Nancy, G;ad you enjoyed your stay! 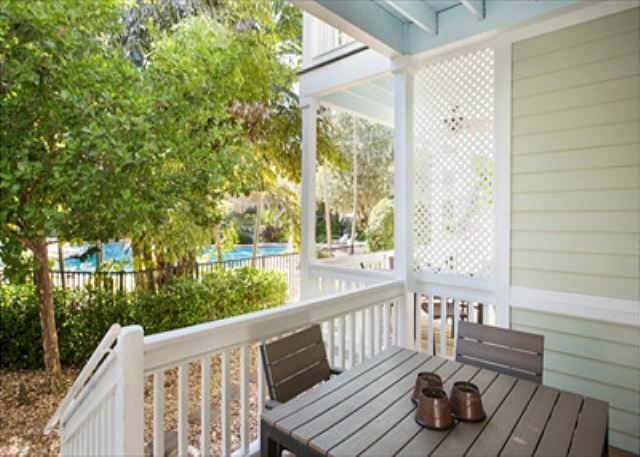 We loved the townhome we stayed in at Coral Hammock during our visit to Key West. The location was great and the home was perfect for our family of 5! Hello Deborah, Thank you for your feedback. Glad you enjoyed your stay. This is definitely a good choice. Great location to walk for eateries,CVS and to bus stop if you want to go to Old town and avoid parking hassles. Although parking garages are available in Old town. You can bike ride too. Places to rent scooters, bikes near. Close to airport. Hello Deneen, Thank you for your feedback. We are happy to hear that you enjoyed your stay. We could not have chosen a better place to stay. Plenty of room and close to everything. Gated community for extra security. Beautiful pool and friendly neighborhood. Hello Carol, We are happy to hear you enjoyed your stay. Come back and see us again soon. We loved this rental. It was just what we needed for a week stay in KW. We would stay here again. Hello Ronald, We are glad to hear that you loved the property. Hope to see you again in the near future. This unit is great for a group of 6. Three bedrooms, three bathrooms, kitchen and pool outside the door. 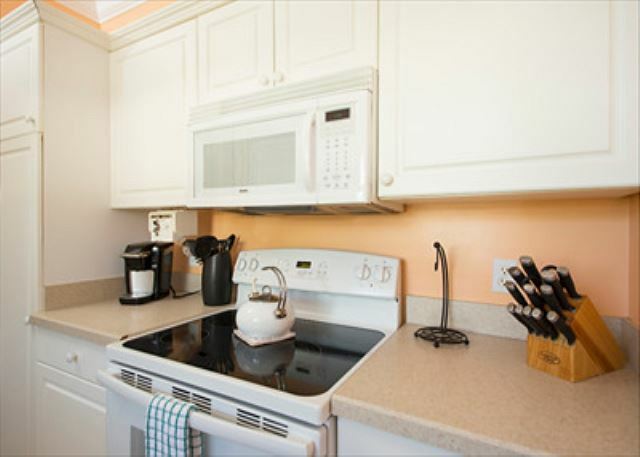 It is nicely furnished with everything you would need in a home away from home. The pool is steps away, tucked in the middle of the complex. We used the bar-b-q grill, and work out room in the community building. We would typically get up, make breakfast, go to the beach, Mallory Square or Duvall St. during the day, then come back, swim in the pool, make dinner and play card games. You definitely need a car in this location as it is mile marker 5 from Key West. Since we were traveling with three teenagers, it was a different rhythm than if there were all adults. Vin, the owner, was very nice to work with-he was very accommodating and good with communication. Wi-Fi was good, unit was clean, weather was great. There were restaurants nearby (Roostica, The Stoned Crab) and CVS across the street, walking distance for anything you need. The surrounding neighborhood looks a little rough, but this is a secure, gated community. Stock Island isn't the heart of Key West action, but this location is affordable and convenient. Hello Heidi, Thank you so much for your feedback. We greatly appreciate it. We are glad to hear you enjoyed your stay. We stayed here for the third time this past Oct. As usual, the property was clean and very inviting! I highly recommend staying here when visiting Key West! We absolutely enjoyed our stay here. Stock Island is so close to Key West, we didn't mind hopping in the car for a quick drive to our activities. The house was thoroughly cleaned when we arrived and had a well-stocked kitchen. The complex has a nice pool to hang out in. We found the resident rooster to be hilarious, his ****-a doodle-do was broken and sounded like a small child 😂 We would totally stay here again. We were a family of 5 adults on vacation celebrating a milestone birthday. We hadn't been to Key West in years and wanted to stay together instead of a hotel. This home did not disappoint us at all. There isn't one thing that I would change about this property. The location was convenient, the house is well maintained and clean. The beds were comfortable, the table was large and great for gathering. The kitchen was well stocked with all the amenities of home. We loved the pool front location. The property manager kept in contact with us right up until check in. Everything went as outlined in the correspondence so we never needed to contact them again. I would definitely recommend this property without any hesitation. Hello Hope, Thank you for your feedback. We are happy to hear you enjoyed your stay. Hope to see you all again in the near future. Great place away from Duval St. but close enough to visit quickly. Great pool area too! Wonderful place to relax and unwind. Some nice places to eat close by. Great dessert place next door. Would definitely return. Hello Dennis, Thank you for your feedback. Hope to have you and your family stay with us again soon. Very nice place. Location was perfect as right down the street from the marina we were using. Condo was very nice. Clean and all the comforts you would need. 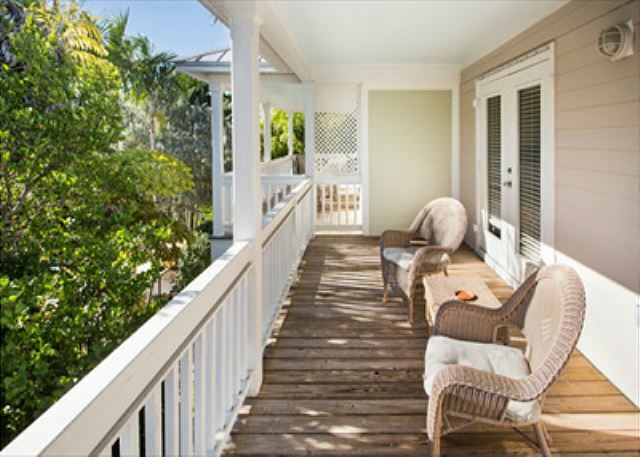 Only minutes from downtown Key West. Will definitely look to stay here again. Truly one of the best family vacations we have ever had. The management company was great to work with; fast and effective communication. Good value for the location. Hello Jennifer, Thank you for your feedback, we greatly appreciate it. Glad you enjoyed your stay and hope to see you and your family again soon. Hello Robert, We are glad you enjoyed your stay. Generally excellent; only enough seating in LR for 3 people but rents for up to 8; advise getting an L shaped sofa configuration to accomodate more guests. Hello Elizabeth, Thank you for your feedback. This unit sleeps up to 6 people. I will pass your suggestion onto the owner. Thank you and hope you come back and stay with us again in the near future. Was very pleased overall with the condition of the home and property ! The pool area is very nice. Some concerns were the bedroom pillows and bathroom towels supplied were of the lowest quality and very disappointing given the rental price that was paid. Hello Vincent, It was nice having you stay with us. Thank you for your feedback we greatly appreciate it. 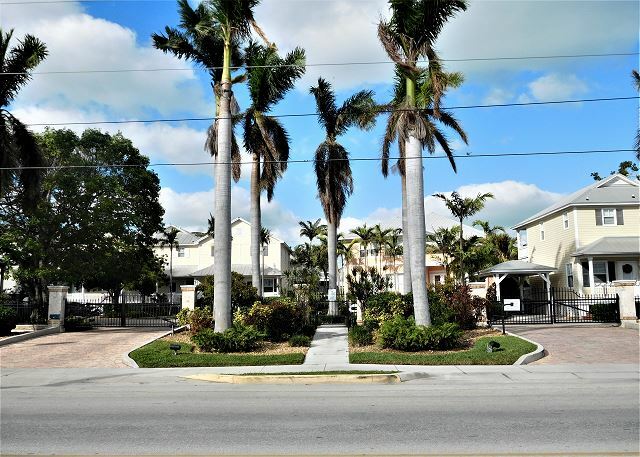 A fantastic place to stay..clean and well maintained .. had a well stocked kitchen and comfortable beds ..easy access for driving in the Keys .. would definitely recommend. Hello Frances, Thank you for your feedback. Hope you come back to see us again soon. Beautiful 3 bedroom town home! The town home was beautifully decorated and well furnished. The pool was gorgeous and we enjoyed the porches overlooking the the pool. Our family of six had plenty of space and enjoyed cooking and eating in some of the time. The process of renting was smooth and easy as well. Hello Esther, Thank you for your feedback. We are glad you enjoyed your stay. We thought the place and location was great. pool was a 1 minute walk, restaurants and small shops close by including a 24 hour CVS. Getting into Key West was quick and easy and once you find the $13 all day in/out parking garage on Grinnell makes everything convenient. Only problem was the Wi-Fi was a little unreliable even after a router switch out. Great property for anyone. There was plenty of space for three couples and we each had our own bathrooms. The pool area was very nice, we spent an afternoon enjoying the sun and the pool. Publix was within a few miles for groceries and CVS is right across the street. I highly recommend! Hello Victor, Thank you for your feedback we greatly appreciate it. Glad you enjoyed your stay and hope to see you again in the near future. We enjoyed our time very much. Would we stay here again..absolutely! We spent much of our time on the porch. It was very relaxing. the tree needs a bit of trimming...otherwise you do not have much of a view of the pool. But we were fine with it. Kitchen table is nice and big...but eating on the porch was much better. When we get another chance to come down...we will be contacting you. I would suggest a guest book. Our frieds rented 2 other houses in the Coral Hammock and they had guest books to read other guest memories and write theirs also. Have you ever thought about it? Thank you for helping us make our memories a success !! Hello Jill, Thank you for your feedback we greatly appreciate it. We agree that guest books are great to have in the units and will be ordering more. The house was very clean and well stocked. 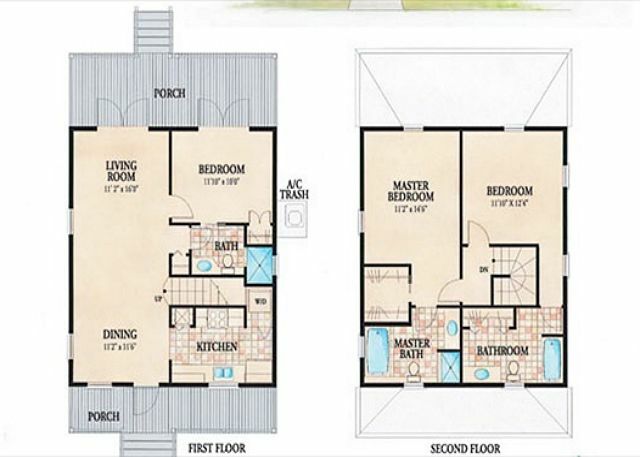 All three bedrooms had their own full bath, TV, and a balcony off them. The pool was steps away. It was a very nice and comfortable stay. Hello Joanne, Thank you for your feedback, it is greatly appreciated. We are very happy that you enjoyed your stay. Hello Jeff, Thank you for your feedback. We are glad you enjoyed your stay. Hope you stay with us again soon. Beautiful, well-maintained, well-stocked house on Stock Island. Pool is only steps away, as is a fitness center and club house. Check-in / out was a breeze and had no issues reserving the place. It's our second time renting this owner's rental unit and we'd do it again in a heartbeat! Hello Jill, Glad you enjoyed your stay and hope to see you again soon. Totally enjoyed 36 Coral Way. It was perfect for 6 adults and all of the visitors. 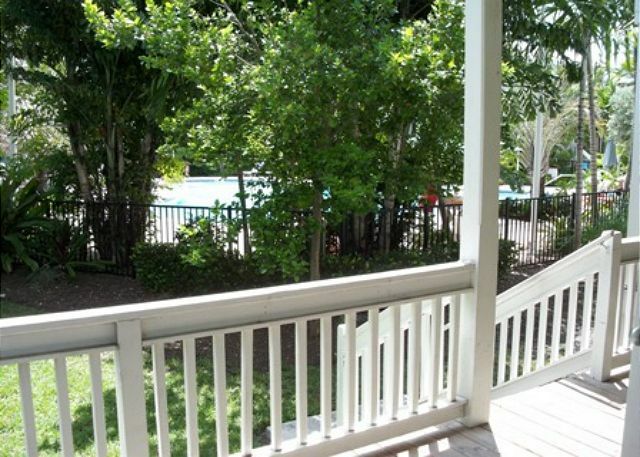 Lovely home, great location, really nice porches in the trees and then the lovely pool in the back yard. All good! Hello, Thank you for your feedback, glad you enjoyed your stay. Property was very nice and had everything in it that you might need. Pool was great and close. Has a balcony and back porch. Hello Mishelle, Glad you enjoyed your stay. Please come stay with us again in the near future. My family has rented this home twice now and I am sure we will rent it again in the future. 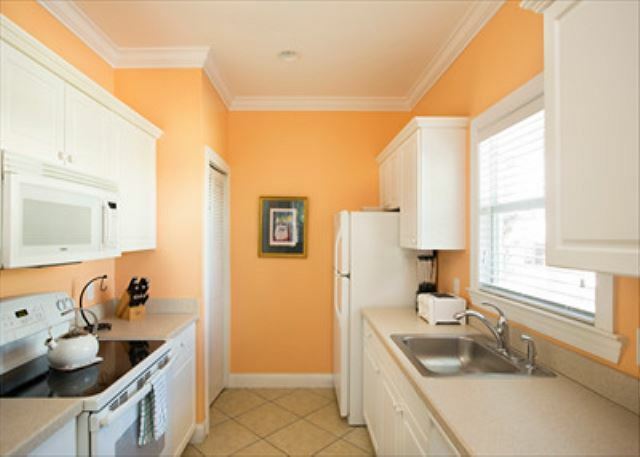 The owner is very nice and the home is well cared for, updated and has everything you need. Plenty of room for 3 couples with 3 bedrooms and 3 full baths. Love the decks and pool out back. Quiet, friendly community. Hello Colleen, Thank you for your feedback. We greatly appreciate it. Hope to see you again soon. This townhouse was perfect. It was clean with plenty of room. I would definitely recommend Coral Hammock. The only negative issue was we had to drive to Duval Street. However, it was a quick drive and there are plenty of cabs available if need be. The pool area was also very clean and available until 10:00PM. It was a perfect vacation. Hello Joan, Thank you for your feedback it is greatly appreciated. Glad you enjoyed your stay. Hope to see you again soon. We couldn't have been happier with our accommodations at coral Hammond. 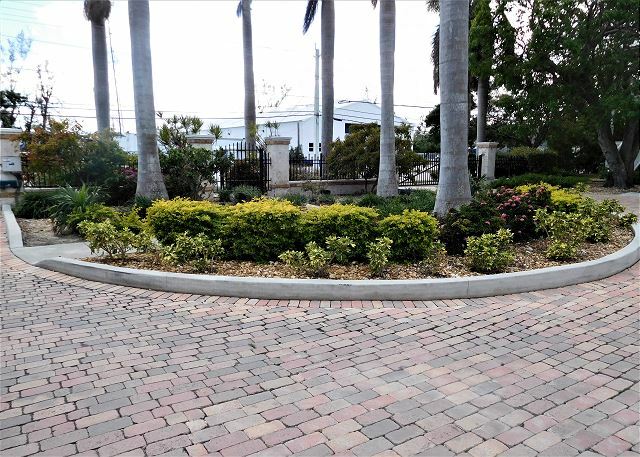 The location worked out well, the grounds were beautiful, and the condo itself Was very well maintained and stocked. They only needs we had for a toaster that worked in the hairdryer. Both items were delivered to the condo within a few hours. We would definitely recommend this vacation rental to potential renters. Hello Betty, Glad you enjoyed your stay and hope to have you and your family visit us again soon. Hello Lynn and Jeff, Glad you enjoyed your stay and hope to see you again soon. A beautiful three bedroom condo. Very clean, easy access to many different things. Nice pool and not overcrowded. Hello Joni, Glad you enjoyed your stay and hope to see you again soon. From the time we booked the home till the time we left everything was perfect. All calls or emails to Vincent was answered in a timely manner. He even emailed and called before our trip with suggestions, and guidance. Grounds of property were very clean and secure. Townhome was clean, decorated nice, and properly stocked with more than you would need. Just bring clothes and food and you will be ready. Plenty of room for a large family. 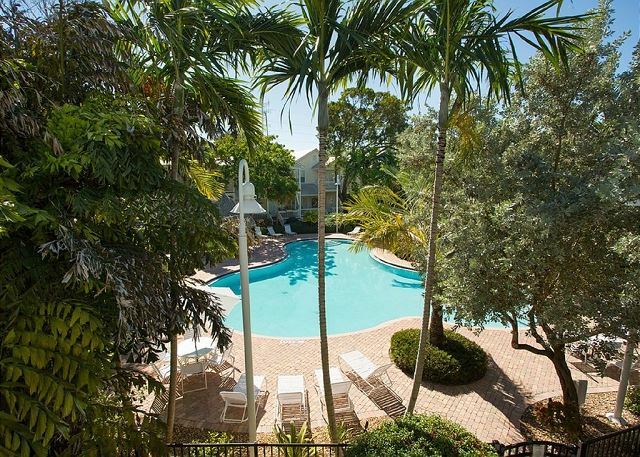 Convenient to Duvall Street & all Key West attractions. Great place to stay with kids or just adults. Enjoy!! Hello Kim We are glad you enjoyed your stay. We went w/our 2 adult children to celebrate our 45th Wedding Anniversary & had a great time! Property well kept & clean. Hello, We are glad you enjoyed your stay. Hope to have you stay with us again in the near future. Great Trip for our "Coffee Group"
Hello Mary Lou, Glad you enjoyed your stay. Thank you for your feedback we greatly appreciate it. Hope to have you ladies stay with us again soon. Very nice time. Everything was nice and there were no problems. Hello John, We are glad you enjoyed your stay. We hope to have you stay with us again. Key West with the kids! We had a great time! The kids loved having their own rooms with balconies. Condo was very comfortable and had everything we needed. We met a lot of very nice people during or morning and evening swims. We will rent here again the next time we are in key west. Hello Ryan, Glad you and your family enjoyed your stay. We stayed at Coral Hammock for a week over spring break. For a family of 5 this property was perfect. When weren't touring around Key West we were sitting on the deck and our kids were enjoying the pool. It was a great trip. Hello Matt, We are glad you enjoyed your stay. Hope to have you and your family stay with us again in the future. This was the first time I have ever rented a condo/house. I needed 3 bedrooms and 3 bathrooms for 3 couples. We were thrilled with the location and price. There was easy access to Key West at all times during the day and night. The condo was clean inside and out. I called and had a question about pillow cases, and several were delivered within 2 hours. The pool was great-- just steps away from our balcony. Each couple had a set of french doors that opened up,and out onto a balcony. We enjoyed coffee each morning in the warm air. At night,the weather was so perfect that we were able to open the windows for fresh air. The roosters were crowing at 4AM! One day there were iguanas out by the pool sunbathing. The office gal- "Becky" was so kind and patience with me while I was trying to book online. Once we arrived, I called her daily for ideas on attractions, and dinning adventures. She was a fountain of knowledge. 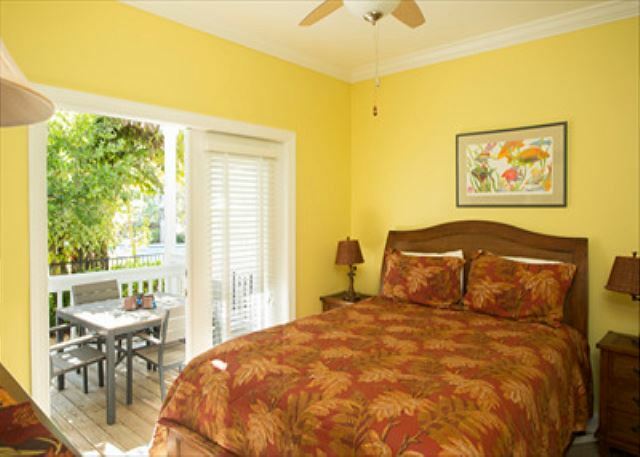 We will be back to Coral Hammock #36-- but we like to call it "Our Rooster Hideaway"
Hello Terri, Glad you enjoyed your stay. Look forward to having you stay with us again. Thank you for your review it is greatly appreciated. We stayed for 7 nights and we were five guests. The place was perfect; it was exactly what we were looking for, nice and cozy and espacially very quiet. The pool is very well kept as are the surroundings. When I go back to Key west, I will be staying here again. It's great! (It's at mile 6, so about 10 minute drive from Downtown). Hello Mike, Glad you enjoyed your stay and look forward to having you and your family stay with us again. We loved it! The location was fabulous, close to Old Town but far enough away to quiet. The condo was clean and updated. The pool are was gorgeous. We had a fabulous time. We would definitely come back to Coral Hammock and would also refer our friends to it. Hello Bill, We are happy to hear you enjoyed your stay and look forward to having you stay with us again in the future. 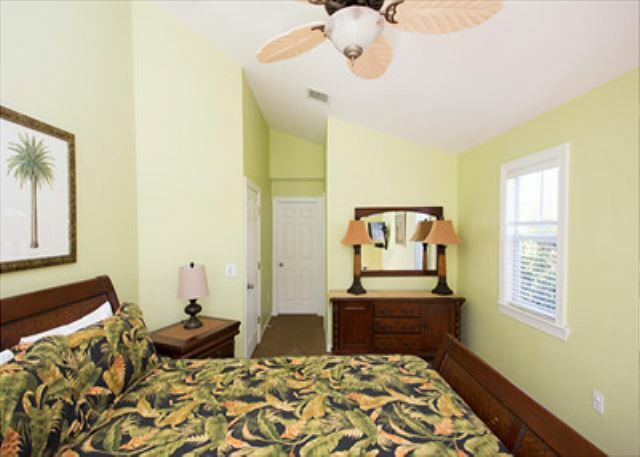 We were delighted with the overall experience at Coral Hammock 36. The instructions for arrival was clear and it was great to be able to get in and clean up after a day off riding motorcycle. Hello Anita, Glad you enjoyed your stay. Hope to have you stay with us again soon. This gem has become a return vacation destination for my family. 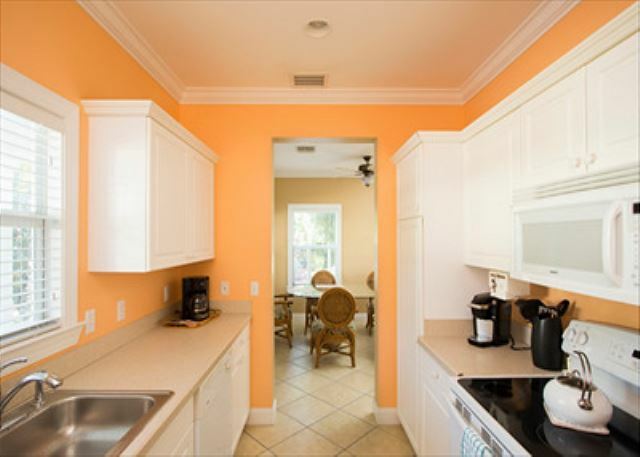 This townhouse is roomy for up to 6 guests and close to all tourist hot-spots, but also far enough away not to be smack in the middle. Be sure to visit the pizza place just around the corner. I've been craving that place since we got home. Hello Lisa, Glad you enjoyed your stay. Hope to see you and your family again soon. Yes, Roostica is delicious! Location was nice for our needs. Within a few miles of key west center but far enough away to have privacy. Unit was clean and had essentials. 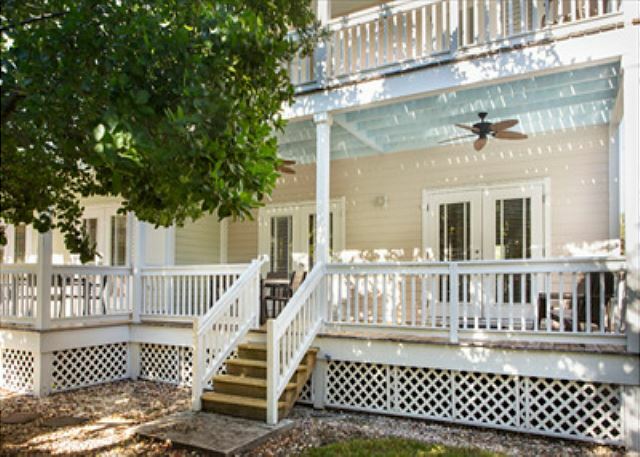 Porches on unit were very nice and pool area great. The rental was very clean and equipped with everything we needed for a one week stay. Although, we did notice some ants in the bathroom, it was not a huge concern. We had pool access, which was kept clean and was never busy. 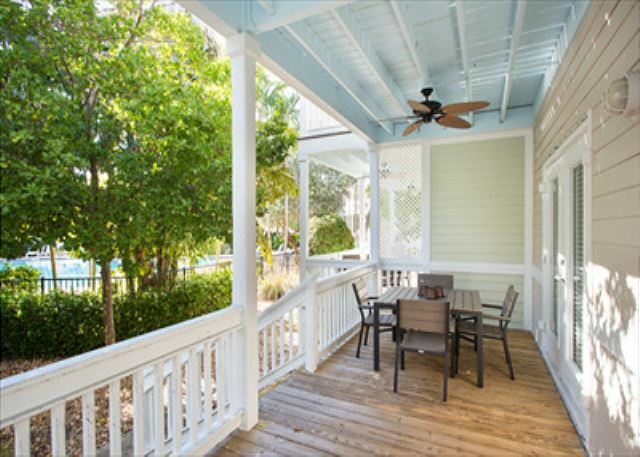 We do think some ceiling fans would be wonderful on the outside porches. Hello Deloris, Thank you for your feedback. Glad you enjoyed your stay and hope to have you stay with us again soon. Hello Noel, Thank you for your feedback. Glad you enjoyed your stay and hope to have you stay with us again soon. This is a great and spacious place for a person to get away and relax. Management even assisted me in handling some issues I had with my car. Thanks!! Hello Edin, Thank you for your feedback. Glad you enjoyed your stay and hope to have you stay with us again soon. Wonderful stay! The accomodations were excellent! Would stay here again! hello Carol, Thank you! Glad you enjoyed your stay! Hope to have you and your family stay with us again in the future. This was the first time I used VRBO and it was a great experience! Hello Helena, Thank you for your feedback, we greatly appreciate it. Glad you enjoyed your stay and hope to see you again soon. I was very satisfied with the property. My only complaint was that there was only one washcloth. Hello Anne, Thank you for your feedback. I am glad you enjoyed your stay. I apologize about the washcloths and would have been happy to take some over to you immediately had I been made aware of it during your stay. Hope to have you stay with us again in the future. We loved our stay at this property. The condo was nice and clean and had everything we needed. We would definitely stay here again! Hello Jen, Glad you enjoyed your stay. Hope to have you and your family stay with us again in the future. We greatly enjoyed our stay at Coral Hammock 36. The home is in very good condition and contained everything we needed for a comfortable stay. There were 6 adults staying for the week and we had plenty of room. We especially enjoyed the location by the pool. Hello Colleen, Glad you enjoyed your stay and hope to have you and your family stay with us again soon. suggestions. The furniture and linens need to be upgraded. The Dishes flatware and cooking supplies need to be reviewed. We truly enjoyed our stay. The process and personnel for renting this unit were excellent. Clear contracts and prompt responses for all matters. Especially having Becky as our contact person for this location. We are from Jamestown Missouri not Michigan. Hello Mary, Thank you for your feedback we appreciate it. As per our emails I will have your suggestions addressed. Glad you enjoyed your stay with us, always great to have you and your family come back to stay with us. See you in 2015! Hello Greg, Glad you enjoyed your stay. Hope to have you and your family stay with us again soon. Coral Hammock is located on Stock Island just off US 1 across from the golf course. 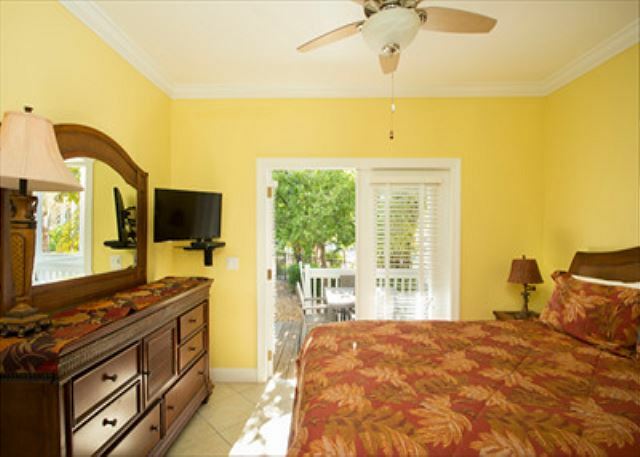 It's just 4 miles to downtown Key West and is convenient to some great restaurants on Stock Island. We ate at Roostica and Hogfish Bar and Grill and both were very good. We'd never tried hogfish before and were delighted at how good it is. Jamie and Becky from Key West Vacation Properties were friendly and very easy to work with. The payment system is convenient and safe. It finally got warm enough on our last day to use the pool. We spent a relaxing few hours in the water and in the lounges. The condo sleeps 6 very comfortably in three separate bedrooms that each have a bath. 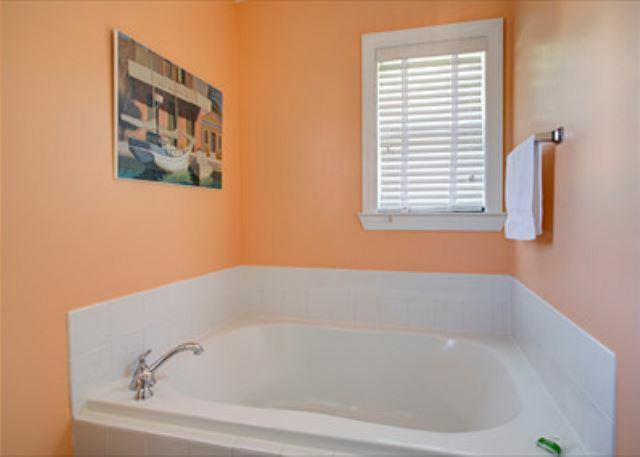 The one downstairs bedroom's bath doubles as the bath for everyone for first floor use. The accommodations were clean, in good repair, and comfortable for our six adults. While we mostly ate out, we did prepare two meals in without much problem in the well equipped, moderately sized kitchen. If we come back to Key West, we'll probably try for this place again. Hello John, Glad you enjoyed your stay and hope to have you stay with us again. Easy. No issues. Exactly what I needed and the property met our needs so two adult children and their parents had plenty of room to spread out. Hello Carol, Glad you and your family enjoyed your stay. Hope to have you stay with us again in the future. Happy New Year! The property was clean and comfortable. We stayed here a year ago and if we come back to Key West again we will definitely stay here again. Hello Kurt, So glad you enjoyed your stay. Hope to have you and your family come back and stay with us again in the future. Happy Holidays to you and your family. We had a wonderful time and the condo was perfect for 3 couples - all having our own bathroom. The kitchen was well stocked and we had several breakfasts there. The pool is very nice and although we didn't use it, the pool/clubhouse was very nice if you had a group. We enjoyed sitting out on the porches enjoying the well kept landscaping and wonderful weather. The location was very good - away from the busy-ness of KW but close enough to make it easy to get to everything. We would definately come back - we've already talked about it. We recommend Hogfish, Roosticas, Hurrican Hole, Blue Heaven for breakfast (get the lobster omelet & banana bread! ), World of Beers, Rum Barrel, Sunset Key for lunch - beautiful, sunset sails and all the little bars tucked into all the corners of the Duval street area. you are never quite sure what you are getting into when you rent basically blind off the internet, but we were completely happy with our choice. Everything was clean, plentiful towels and, most importantly, all the TVs worked so the guys didn't miss their all-important, stupid football game. Two great restaurants within walking distance cattycorner from house: the Dolphin Deli and Roostica. Wish we had found Hogfish restaurant much earlier, but it is well worth the seek and find:). Located on the marina this-a-way, but the lobster pot pie is to die for. Put it this way: I kept all the rental info so we can come back again. We had a wonderful week at #36! Prime location with easy access to pool. Unit was great. New carpet, kitchen had necessary utensils etc. rental company(Becky) very responsive. We will definitely stay here again! Thanks for sharing this unit with us! townhouse was spacious and clean pool was just steps from backdoor. great spot to eat just outside gated community but would not venture on foot too far few blocks down not such a great area; but you have that everywhere. would recommend and will stay there again. This was a very nice place to stay. The only criticisms that I would have is the dining room chairs were stained and torn and the carpet was worn. Otherwise, very nice place to stay. We had a wonderful stay there. 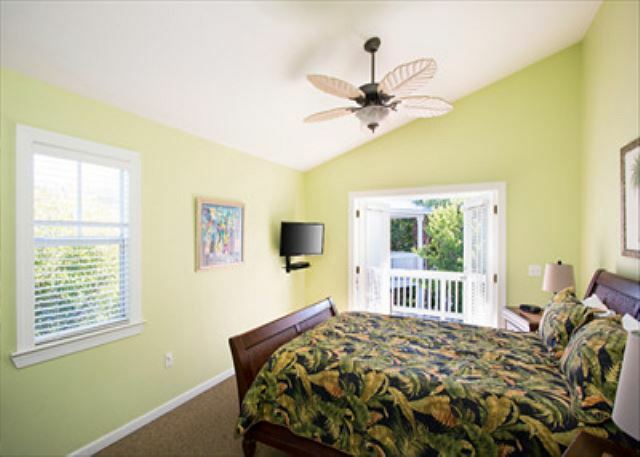 Town house is very spacious and all bedrooms have a private bath and french doors leading out to a deck overlooking the pool. Beds were comfortable. It had all the necessities needed which was very nice! However, due to all the construction on US 1, the drive into Key West was much longer than expected. We spent a week in key west, the property was perfect . Lots of room for all in our group. Nice pool to enjoy. Very clean and had everything we needed. This property was everything as advertised; perfect location as well as very clean. My family had a fantastic stay and would most definitely stay @ this location again! Our family of five was EXTREMELY pleased with our stay here-our hope is to return soon! We were there over the 4th of July week. We were impressed with the size of the condo, plenty of room for us to spread out. The bathrooms were large and clean, bedrooms all ample and nicely decorated. Everything that we could have needed was available (blender, beach towels, beach toys!). The washer/dryer was a great addition as well. The pool area was beautiful, well-kept and very inviting. There were even pool toys and noodles for the kids to use!! We were fortunate enough to be able to sit on our deck and see the pool...our condo location was perfect. We felt safe and secure. Hands-down one of the best places we have stayed in. Plus, we had a built-in alarm for the morning...the roosters roosted in the tree outside our bedroom window, so there was no sleeping in!! All and all, a great experience. 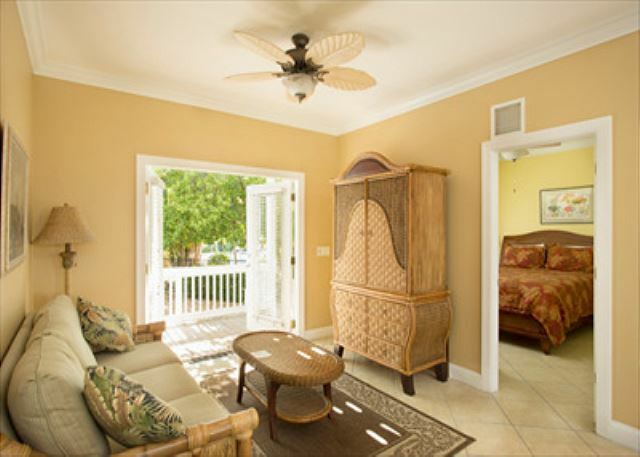 We would highly recommend Coral Hammock for families or even couples, as there is plenty of "personal space". Hope to return soon!! Excellent experience. Lot's of room, good location. Very Clean and well stocked. We were very happy with the property. Only thing with the unit was the carpet. Very worn and steps were very worn and stained. Over all the unit was in good shape. We arrived after hours on a Saturday evening and the young girl in the office was just leaving for the night..she stayed over to get us our info and packet. We really appreciate her customer service. Hello Thank you for your feedback. The owner is having the carpet replaced. Look forward to seeing you and your family again soon. The house was well laid out with three bedrooms and bath rooms. Everyone had their own space. The coded entry was nice - did not have to worry about a key. The only concern we had was the noisy roosters which are all over the island. Just a reminder not to feed the animals. Other than that, we had a perfect vacation and would definitely return. Great place on the whole. Pool area is top notch and the people were very friendly. You MUST be an animal lover to stay at this property, though. The feral chickens of Stock Island are around the community all day and the crowing roosters subscribe to no clock. There is also a very friendly cat that will enjoy your vacation at your side on the lower porch. We had a great time at this property and would definitely stay again. It's a 15 minute drive to Duvall St. and only 5 minutes from the airport. The property was spacious, clean and comfortable. We would definitely stay here again. Hello Kurt, Glad you enjoyed your stay, hope to see you and your family again soon. 6 adults shared 3 bedroom/3 bath for 5 nights. Nice layout. Nice large dinner table and outside patio/table. Great landscaping. Good kitchen utilities. Needs can open(elec. doesn't work) and a couple more dish towels(only had 2) and 2 more bath hand towels. All was great and would rent again. Hello Judi, Thank you for your feedback, we greatly appreciate it. We will address your suggestions immediately. Hope to see you again soon. Great place to stay when in Key West!! Hello Steve, Glad you enjoyed your stay. Hope to see you again soon. Great place to stay. Plenty of room! Would rent again. Unit has everything you need. 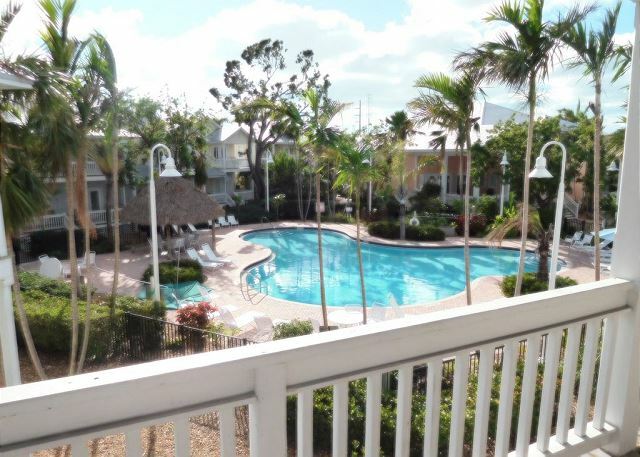 The townhomes were absolutely perfect for our wedding in Key West. We rented #36 and my parents rented the adjoining unit #34. The units were very roomy, and also happen to be located right on the pool. The big decks out back made it a perfect place to relax and enjoy time with family. 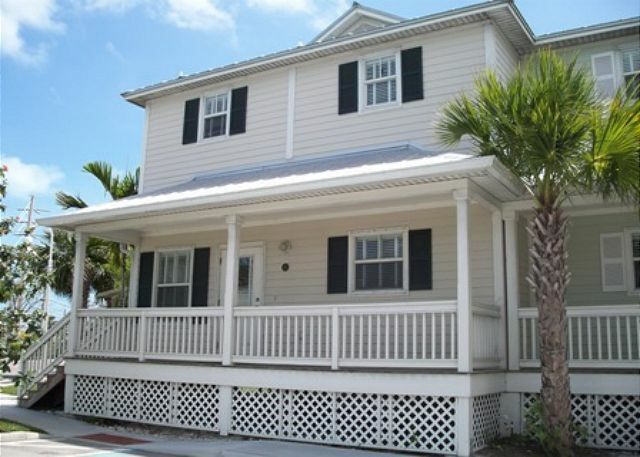 We would definitely rent again when we come back to Key West!! Great rental and a great value!! Hello Dave, Glad you enjoyed your stay, hope to see you and your family again soon. We got off to a rocky start as the property had not been cleaned from the prior guests when we arrived. The property management firm was able to have the location cleaned within 3 hours and made a reasonable accomodation for the inconvenience. The location is great - quick gated community. The chickens and rooster were everyone and we didn't need an alarm clock. :) Would definitely stay here again. For the most part, very satisfied. A bit disappointed in the ant issue in the bathrooms.... But Key West weather brings annoying creatures. Management was very swift in getting someone out to spray. For the price.... Location was great! A short walk to the grocery and liquor store. Down the road near Hurricane Hole is a Mexican cantina with the BEST Margaritas!!! Also near there is a bike shop that rents bikes or scooters! Have fun... It was a blast! We went shark fishing with DreamCatchers... Awesome! Best Rum Runner in my opinion, bar at Mallory Square! Next time that we return to Key West we will check here first. Everything was great!!! We were satisfied with the facilities and rental property. Everything was very spacious, clean and well kept. Ideal place for couples and family. 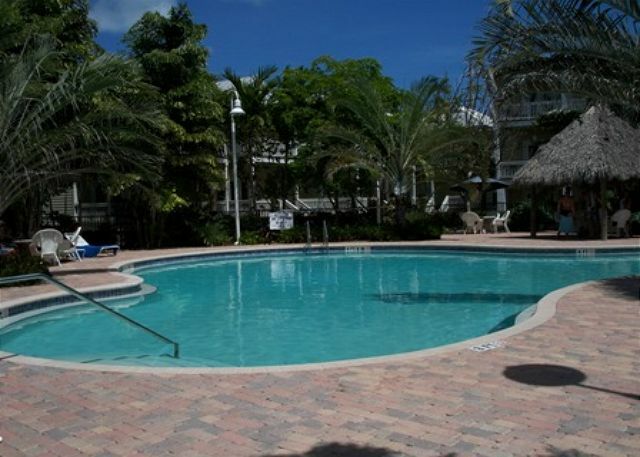 Located on Stock Island (the island before Key West) just a short drive from all the action in Key West. CLEAN, ROOMY, WELL STOCKED WITH CLEAN LINENS, KITCHEN WARE AND CONDIMENTS. COMFY BEDS--WE LOVED IT. The condo was nice & had everything that we needed. The rooster crowing all night...every night was annoying and disrupts your sleep! That's Key West! Only comment is it needed to have the floors and rugs cleaned. Not sure if they even mopped them. Other than that a beautiful place. Hello, Thank you for your feedback. The carpets have been professionally cleaned and we have addressed your concern about the floor. Hope to see you again soon. Although the Coral Hammock complex was inviting from the outside, we were somewhat disappointed with the interior of our unit #26. The bathrooms were lacking a place to hang towels; very stingy with the bathroom toilet paper; no place in the shower stalls for soap, shampoo, wash cloths. The master bath shower stall leaked pretty bad causing the rug to get soaked after one shower. The water from the shower head was little more than a trickle. There was only one wash cloth per bathroom. There was nothing in the kitchen to wash dishes with. If we needed to bring out own things, we should have been told. the roosters were very annoying - crowing all hours of the day. On a more positive note, the beds were comfortable, the pool area was very nice and well kept. Thank you, we welcome your feedback, eventhough we do regular inspections we do not actually use the unit as one would on a daily basis for example taking a shower or doing dishes. Your suggestions have been addressed, unfortunately the roosters are a part of paradise and we have no control of them. We look forward to having you again in the future on your vacation to Key West. Hello, So happy to hear you enjoyed your stay. We look forward to having you again in the future! We were there for our daughter's wedding. I think that it was a great place to stay. The only problem we had was that the shower in the bathroom at the very top of the stairs was leaking, but we called the owner and he was going to have it fixed. Great pool...we had a wonderful vacation. The only thing missing was a gas grill. We would have liked to have had a grill a couple times to get away from eating restaraunt food every day. Would stay there again. ride to Key West. We would definitely recommend this unit! There was plenty of space with a beautiful view. The property was close enough to town to experience Key West well. The rooster crowed a ton, and the dryer did not dry well. Those were our only downsides. We would definitely come back and recommend it to other people! Overall we LOVED the rental. It is in a great location, beautiful house and truly enjoyed our stay. The floors were VERY dirty when we arrived and so were most the dishes and utencils in the drawers. We tried to clean the floor ourselves since we had our infant daughter crawling on them but there was no mop. Instead we had to use papertowels and do the best we could. We would still reccomend this place to anyone and would love to rent it again in the future. Thanks! We had a wonderful time in this property. The house was spotless when we arrived and very nicely decorated. The pool was magnificent and we spent many hours lounging in and around it. The beds were very comfortable and there were plenty of towels. It was a great time and we will stay there again. 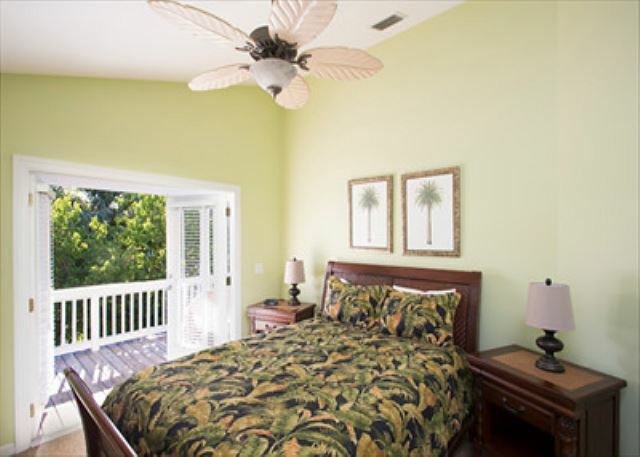 Coral Hammock 36 had plenty of space and accommodations so that people had bathroom/bedroom privacy. The pool area was beautiful - such a treat after being out all day. We ate out on the porches often during our stay. The roosters were an unexpected 'surprise', but we found that running the standing fans in our bedrooms partially blocked the rooster noise. Would definitely return for another vacation. Excellent! I and friends spent a week in unit 36 and it was just as it should be-problem-free. The house was great, the location is a nice compromise between convenience and away from a lot of commotion. I highly recommend this property. Loved the house and we will rent it again! We were very pleased with our rental. The townhouse is beautiful, and clean with a great layout! It worked out great with 6 ladies to have 3 bathrooms. The gated property is very safe, with lots of parking, and only about 10 minutes into town. The only thing that I would warn people about is that the "wild" roosters do crow all night long. I don't know if they are more prevalent on Stock Island, or just more noticeable with less city noise around. We got used to it after the first couple nights, but if you are a light sleeper bring your earplugs! Other than that, I highly recommend this rental!